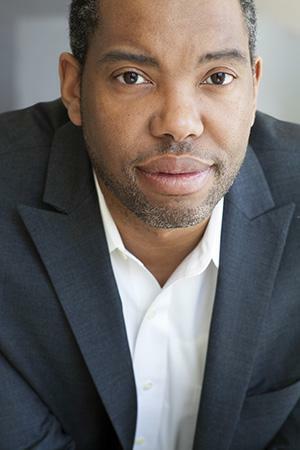 Between the World and Me, by Ta-Nehisi Coates, reviewed. Ta-Nehisi Coates’s new book is a monumental work about being black in America that every American urgently needs to read. Ta-Nehisi Coates’ Between the World and Me checks in at a trim 152 pages but lands like a major work, a book destined to remain on store shelves, bedside tables, and high school and college syllabi long after its author or any of us have left this Earth. In recent years, Coates has staked his claim as one of the premier American essayists of his generation, a prize-winning correspondent for the Atlantic whose 2014 cover story “The Case for Reparations” was the most widely discussed piece of American magazine writing in recent memory. Baldwin’s “Letter” runs just a few pages and is a work of ferocious urgency, words of anguished wisdom imparted from an elder (“I have begun this letter five times and torn it up five times,” he writes in the opening line). Between the World and Me, in contrast, is not so much a work of counsel as a lovingly, painstakingly crafted inheritance, a reflection on fatherhood that often feels like a spiritual sequel to Coates’ first book, The Beautiful Struggle, a memoir of his childhood in Baltimore that focused heavily on his own father. 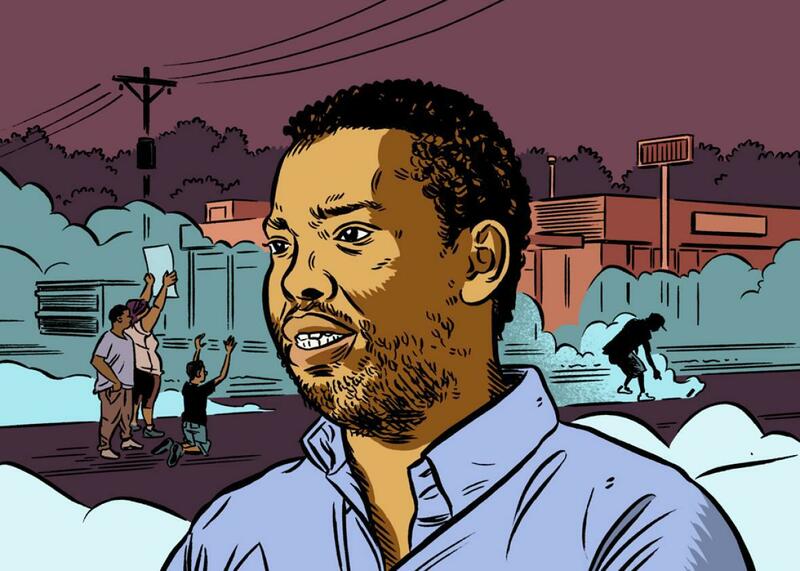 If The Beautiful Struggle was Coates explaining his father to himself, Between the World and Me is Coates explaining himself to his son, and, in doing so, explaining as best he can what it means to be black in America. Much of this happens through snapshots of Coates’ life, both prior to fatherhood and during it. Some of these moments are immense and tragic, such as the murder of Coates’ college friend Prince Jones at the hands of police, an event that, Coates writes, “took me from fear to a rage that burned in me then, animates me now, and will likely leave me on fire for the rest of my days.” Others are more quotidian if still wrenching, such as a brief and heated confrontation with a middle-aged white woman who shoves a 4-year-old Samori at a movie theater. Still others are warm and joyful: every description of Samori’s mother, for instance, or a fantastic meal shared with a new friend on Coates’ first trip to Paris. Between the World and Me is a love letter written in a moral emergency, one that Coates exposes with the precision of an autopsy and the force of an exorcism. Taken as a whole the book is Coates’ attempt to sever America’s ongoing romance with its own unexamined platitudes of innocence and equality, a romance that, in the writer’s telling, “persists by warring with the known world.” In Between the World and Me this collective delusion is known as “The Dream.” The Dream, writes Coates, “is perfect houses with nice lawns. … The Dream smells like peppermint but tastes like strawberry shortcake. And for so long I have wanted to escape into the Dream, to fold my country over my head like a blanket. But this has never been an option because the Dream rests on our backs, the bedding made from our bodies.” The Dream is wrought from a legacy of white supremacy so entrenched it nearly conceals itself, and Coates’ book is a call to awakening. As such, it joins a tradition that stretches back at least as far as Frederick Douglass and runs up through Barack Obama’s Charleston eulogy just two weeks ago. The richness of this tradition is a formidable thing, and its duration and continuing urgency do not speak well of this country. Coates is frequently lauded as one of America’s most important writers on the subject of race today, but this in fact undersells him: Coates is one of America’s most important writers on the subject of America today. This distinction might sound glib but is worth making, not least of all because Coates repeatedly informs us that he isn’t much interested in “race” as a subject of reflection in itself. “Race is the child of racism, not the father,” he writes—while race is a fiction of power, racism is power itself, and very real. It’s also worth making this distinction because for many white Americans the word race simply translates to not us, an invitation to defensive disavowal and aggrievement. Consider the amount of times that Barack Obama has been accused of “injecting race into the conversation” or “playing the race card” simply by making reference to his own body, as he did in the aftermath of the killing of Trayvon Martin. Or the inability of politicians and talk show hosts to describe the actions of Dylann Roof for what they were, a terrorist act committed on the imagined behalf of people who look like him. Or the way a statement like “black lives matter” becomes shouted over with “all lives matter,” a mass of people feeling insufficiently loved by people they fear. To paraphrase an essay Coates wrote for Slate in 2008, many white Americans now treat “racism” like it’s a racial slur directed at them. Between the World and Me is, in important ways, a book written toward white Americans, and I say this as one of them. White Americans may need to read this book more urgently and carefully than anyone, and their own sons and daughters need to read it as well. This is not to say this is a book about white people, but rather that it is a terrible mistake for anyone to assume that this is just a book about nonwhite people. In the broadest terms Between the World and Me is about the cautious, tortured, but finally optimistic belief that something beyond these categories persists. Implicit in this book’s existence is a conviction that people are fundamentally reachable, perhaps not all of them but enough, that recognition and empathy are within grasp, that words and language are capable of changing people, even if—especially if—those words are not ones people prefer to hear. Coates has written a book about immense and ongoing failures of humanity that is a triumph of humanism in itself, a book that renders the injuries of racism brutally near and real. The “open letter” is the most overused mode of contemporary writing, a one-sided conversation with someone famous in which the performative bypass of audience creates an aloof sort of anti-intimacy. The open letter form of Between the World and Me, on the other hand, is entirely in the service of intimacy, a window into parental love, the first and most fundamental intimacy all of us encounter. Throughout the book Coates employs similar concepts so primal as to be indisputable. Among the most powerful of these is the human body, which Coates mentions relentlessly. He invokes the body as the fundamental unit of human existence and also explores the ways that white and nonwhite bodies have functioned in the building of America. This starts with the book’s opening sentence: “Last Sunday the host of a popular news show asked me what it meant to lose my body,” as Coates recalls a TV anchor’s skepticism to his claim that America was “built on looting and violence.” As a descendant of slaves, Coates’ sheer presence on her show would seem to be evidence of this. Recounting his adolescence, Coates describes his awareness that “Not being violent enough could cost me my body. Being too violent could cost me my body.” Still later he writes of our “sprawling prison system, which has turned the warehousing of black bodies into a jobs program for Dreamers and lucrative investment for Dreamers.” “Black life is cheap,” Coates grimly observes, “but in America black bodies are a natural resource of incomparable value.” Throughout his book Coates writes about the theft of physical bodies, from slavery up through the prison-industrial complex, and of bodily agency itself, the lack of safety perversely wrought by constant surveillance, when those sworn to protect you imagine themselves as protecting other people from you. Time functions similarly. At one point, reminiscing on his son’s toddlerhood, Coates ruminates on the longstanding parenting adage that black children must be “twice as good to get half as much.” “It seemed to me that our own rules redoubled plunder,” writes Coates. It struck me that perhaps the defining feature of being drafted into the black race was the inescapable robbery of time, because the moments we spent readying the mask, or readying ourselves to accept half as much, could not be recovered. The robbery of time is not measured in lifespans but in the moments we lose. It is the last bottle of wine that you have just uncorked but do not have time to drink. It is the second kiss that you do not have time to share, before she walks out of your life. It is the raft of second chances for them, and twenty-three-hour days for us. This is a beautiful passage whose beauty works in service of its political heft, and vice versa, as images of romance are converted into objects of loss and siege. To be white and live in the Dream is to live in blissful absence of these fears, and yet Coates’ aim isn’t simply to unsettle this absence, but to force his readership into confrontation with presence, with empathy for those whom the Dream denies. Between the World and Me isn’t a perfect book, and given Coates’ prominence and a general tendency in contemporary culture to take shots at whoever’s reaping acclaim at a given moment, there will surely be critiques, and some will have merit. For starters, while Coates has been quick to credit feminist theory with inspiring his interest in the body, this is an inescapably male-centric text—let’s hope we might soon see a book of similar profile and prestige published with an eye toward daughters (or even nieces; The Fire Next Time isn’t passing any Bechdel Tests either). Furthermore, given the extent to which the menaces of “illegal immigrants” and “Islamic terrorists” have been used to stoke the fires of white fear in the 21st-century U.S., Coates’ analysis of the contemporary American racial imagination may strike some as overly black-and-white. But Between the World and Me isn’t a work of scholarship, or theory, or journalism, even if it bears the influence of all these things in the way great nonfiction should. The book will certainly continue the comparisons between Coates and Baldwin, but the differences between the two are instructive as well. The Fire Next Time is a fiercely present-minded book that prefigures what would come to be known as the New Journalism: references to contemporary politics abound, and Baldwin’s meeting with Elijah Muhammad is recounted in vivid, reportorial detail. History is largely left in the background, and there’s little mention of other writers, living or dead. By its end the book is basically a sermon, as the title suggests, Baldwin’s voice exquisite and thunderous, equal parts preacher and angry god. Coates doesn’t really write like this (no one does). Coates is more teacher than preacher, a polymath whose breadth of knowledge on matters ranging from literature to pop culture to French philosophy to the Civil War bleeds through every page of his book, distilled into profound moments of discovery, immensely erudite but never showy. In this respect Between the World and Me bears the mark of a more recent literary elder, Toni Morrison, whose slim volume Playing In The Dark: Whiteness and the Literary Imagination is one of the most brilliant explorations of racial thought and American writing ever published. (For what it’s worth Morrison contributes a blurb to Between the World and Me in which she, too, likens Coates to Baldwin.) Morrison is of course a renowned teacher herself, and as any high school or college literature instructor will tell you, few books on Earth teach as well as hers. I found myself thinking a lot about teaching and teachers while reading Between the World and Me, and not just because I’m one myself, at a university founded by one of America’s most famous slaveholders. I first read The Fire Next Time as a junior in high school; it was pushed on me by an eccentric but thrilling English teacher who told me that it was the greatest essay ever written. I still remember him vividly, because he was the kind of teacher who made me read books like that and who talked about writing in that way. He died a number of years ago, but I wish I could give Coates’ book to him. Instead I’ll give it to my own students and, if the time comes, to my own children as well.